WALPOLE, MA -- The Walpole Express lead the Eastern Hockey League (EHL) in NCAA Commitments since the inaugural season back in 2013. 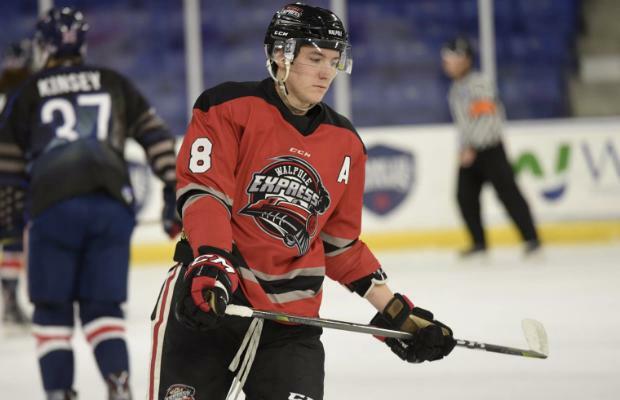 A number of those players for the Express have worked their way through the system, starting with the organization's Eastern Hockey League Premier (EHLP) team and then moving on up. 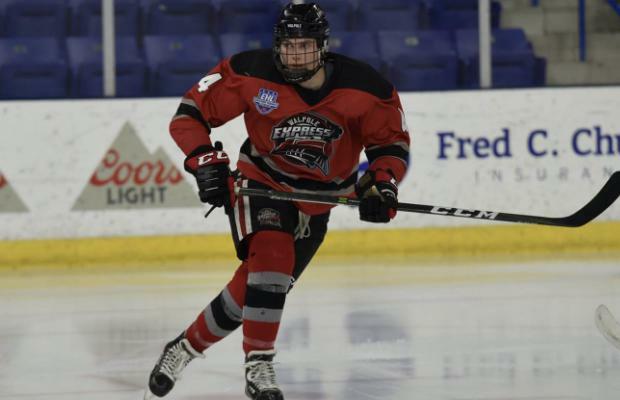 The Express organization prides themselves on developing their EHLP players to perform at the next level, and then move on to NCAA hockey. They've even had a small handful of players go straight from the EHLP to the college ranks. Both Trevor Pray and Bryan Colburn played on a line together for Walpole’s EHLP squad last season, and they're are making a strong impact together again, but this time at the EHL level. 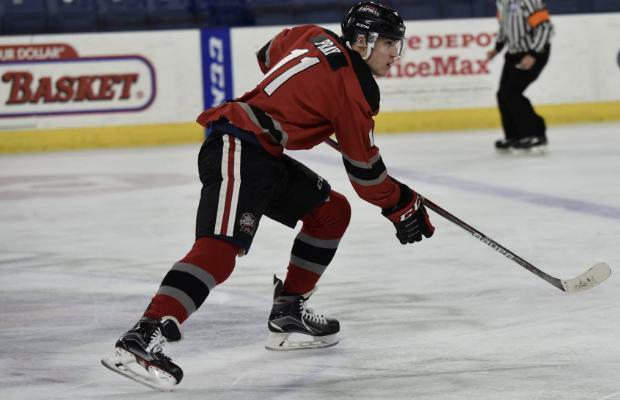 The New York native has shown that he can play at the EHL level with 19 goals and 33 total points through 41 games, and he was recently named the TSR Hockey Forward of the Week following a hat-trick against the Philadelphia Revolution this past Sunday. 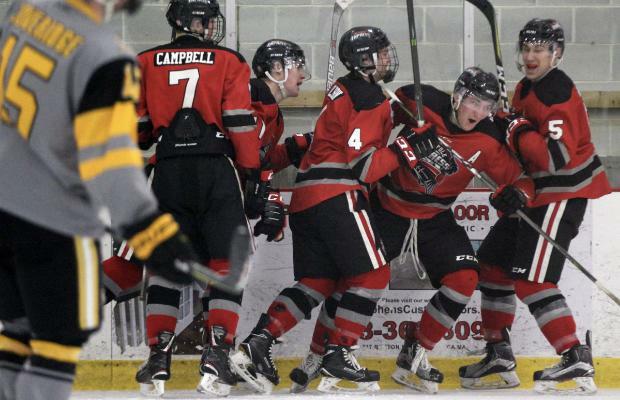 The chemistry between the two linemates has helped out Colburn a lot this year as well. The '99 is second on the Express in scoring with 45 points to his name, and he gives his linemates a lot of the credit. With an extra year of experience over Pray and Colburn, Eric Wright takes on the 'veteran' role for the unit. The native of California knows there is pressure that comes from this, but has found similar success at filling up the box scores with his name. “We all just read off each other really well and it makes the game easier for us," said Wright. "Throughout the year it just keeps getting easier and easier to play with them." The forward unite will look to finish the regular season strong and take the momentum into the playoffs with just seven games remaining on the schedule.